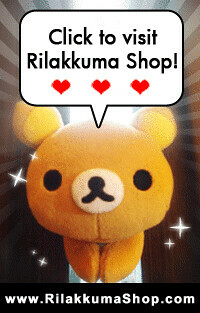 Rilakkuma Shop: Back again due to Popular Demand! Opening preorder for Rilakkuma Bedsheets! 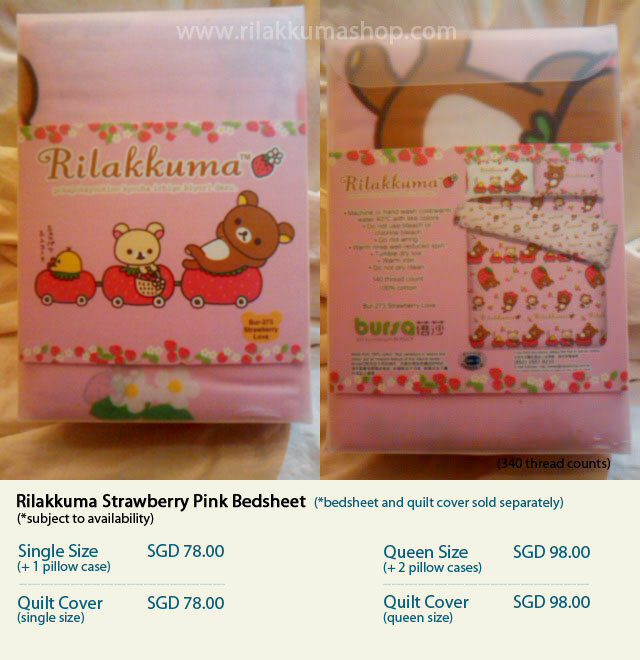 *expected arrival on 10th July 2011.
do not hesitate! Place your orders with us now. 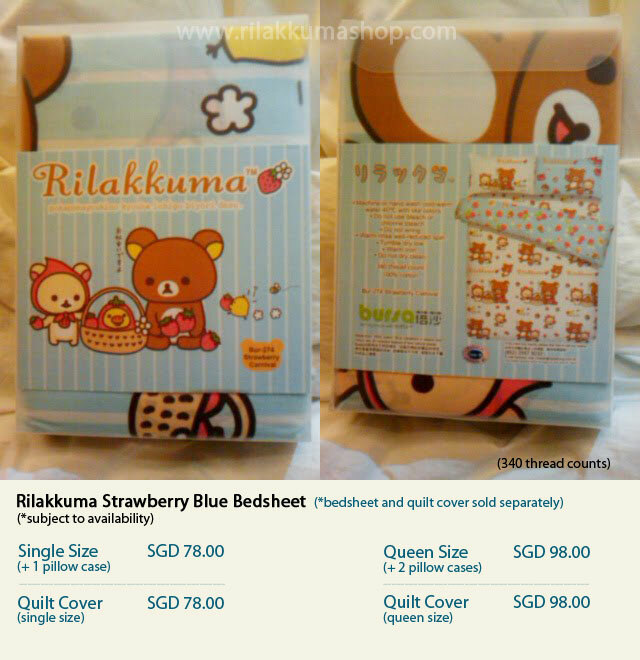 Email to <sales.rilakkuma@gmail.com> and state the items that you are interested in ordering. 1) 50% downpayment is required for this preorder. 2) The remaining payment and shipping fee will be invoiced when order arrive in Singapore. 3) Full refund will be given if item is out of stock. 4) Prices are not inclusive of shipping. 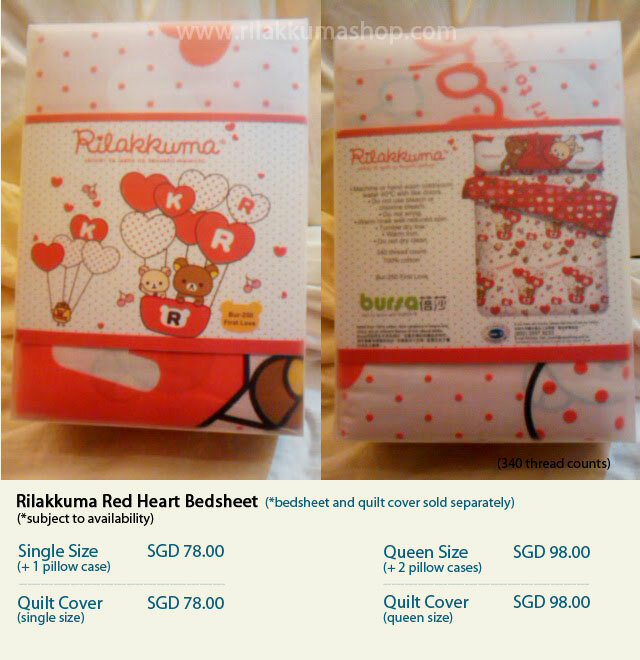 Registered postage cost about SGD 6.00 for single item. Shipping fee dependent on location. To be advised upon order/enquiry.